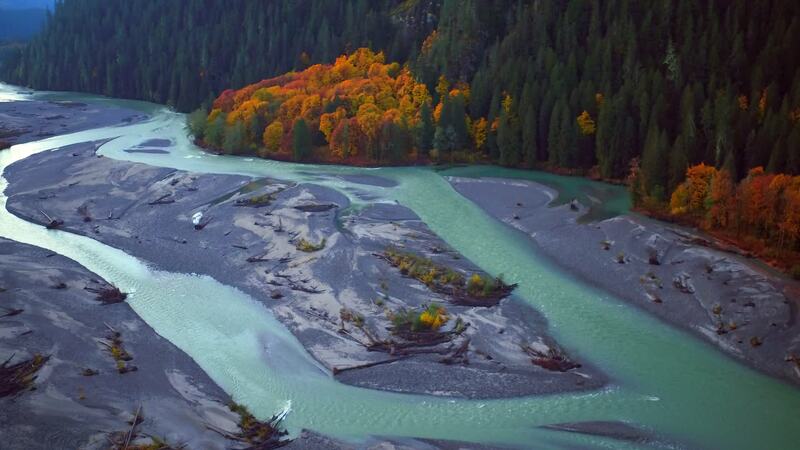 Aerial Eye Visuals created this amazing drone video of a corner of British Columbia in southwestern Canada. Squamish is a town near the Howe Sound of BC, due north of Vancouver. It is in the Squamish Valley, which is an important logging area in western Canada. The Squamish Valley was a shooting location for the 2015 critically acclaimed film The Revenant, including its most well known scene in which the protagonist was badly mauled by a Grizzly bear.